Hey guys and girls, I'm Dave and I'm actively looking for socialization in-world: friends, colleagues, party-mates, gym-buddies. I'm very friendly and welcoming. I like a lot of things in-world and I'm up to building nice relationships with different people. 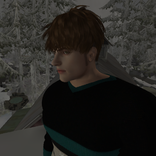 I like to get into my av's story, so it's a good way to enjoy SL, I think. If anyone is up to anything in different situations and build a good friend list, I would love to meet up. I'm gay but I befriend anyone who wishes - boy, girl, trans, human, furry, beasts.... I like everyone. You can always chat with and find me in-world. I love roleplaying and emoting and think I'm fairly good at it (para emoter), but I'm really not very good at or all that interested in going to RP sims and making characters and such. I got into it for a while, but not really anymore. I'd love to find just a person I can have an ongoing 1:1 rp interactions with, just being ourselves, just with lots of emoting. I'm a gay boy, very feminine bottom, submissive if it comes down to that. Night owl who's active usually fairly late hours, so it'd help if you are the same. My wife and I would like to get out and meet some people to hang out with and i've been searching for a good LGBT community maybe some good Lesbian or LGBT friendly dance clubs/bars etc. if anyone knows of any. Thank you. Applications: http://www.gcp-sl.com/jobs/JobsMain.html IMPORTANT 1: Accepting a position on GCP staff binds you to the terms on the application so make sure you read it, understand it and agree to it. IMPORTANT 2: You MUST have an ADULT avatar with a quality shape, skin and outfit and be at least 90 DAYS OLD IMPORTANT 3: This is a GAY CLUB, but you do not have to be Gay to work here. We just ask that you be "Gay Friendly" Male Dancers need only apply. ( Dancers will be expected to chat and entertain the guests while on their dance pads ) We look forward to meeting you. 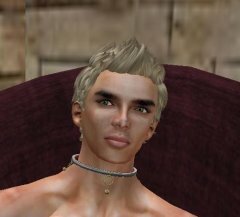 Hello SL World, I am a modern/urban roleplayer who is seeking a roleplay partner. Unfortunately, everywhere I go in-world, seems to be a pump-n-dump sexaholics breeding ground. Though quite a few attractive avis there...lol. I have recently joined the Town of Cedar Creek, a family/urban roleplay town it seems, and was hired on as a Police Officer. So I'd be looking for someone who was interested in living there. I don't have a home yet, so house hunting could be fun. I come from an affluent family in Northern California. My father is a state senator and my mother owns her own real estate corporation (NPCs, unless this thread leads to something different, but that's what I've roleplayed as thus far as I begin my story in this new town). I attended college with expectations from my parents that I would simply return home and take up some executive position in my mother's real estate corporation, but out of spite, or being rebellious, maybe a bit of both, based on some friendships in college, I moved out to Colorado to be free from my parents oversight and micromanaging personalities. More of a guy's guy, and not out to my parents or friends back in California, I finally built up the courage to start dating guys in college. So, relatively new to the scene and nuances of what most would consider the gay lifestyle, I tend to just have my own style and looking for a friend to take on this journey called life. So, lets say I'm looking for a roommate(s), maybe, to start and letting their stories develop from there. Obviously, open to suggestions and ideas. Additionally, I wouldn't mind re-working my backstory, if someone was interested in the parents or sibling roles either. My story is flexible at this point, I haven't had many interactions where my background has come up. So if you are interested, I'd love to meet you and see if we both have similar ideas. Thanks! Hi! I'm a very feminine, girly gay boy, looking for an ongoing romantic role play with a gentleman. Someone who knows how to really treat a gurl, enjoys the process of romance; the seduction, the flirting, the sensuality, the whole process of getting me into bed, and looks really hot in a suit. For now I'm just looking to enjoy dating, getting to know each other, and would be open to letting the role play head in the direction of a relationship and more. Age is irrelevant, in fact I prefer guys older than me (mid-twenties). PM me an introduction, in /me form would be a plus! Detailed, emotive, para-rp is a must! Hey guys,i joined sl a while ago but didnt play until now because of school. i really need to make friends because it sorta gets lonely while playing. i will start by introducing myself: My name is Destiny and i'm 16,male,Gay,i love technology,video games,movies and anime. Hey, guys! I'm back to SL after several months. I would like to make gay friends and RP. Hang out, have fun, visit new places, chat, etc. If anyone is interested, I'd be glad to chat! You can look for me on the grid; I'm DvOxf. See you soon! Hi there, I'm Braxton. I'm hoping to find a boyfriend. I'm in my mid twenties, and would love someone to be with. I'm a computer science student and a graphic artist. I'd love to meet someone kind and caring.